In a guest post for OJB, cross-posted from Putney Debater, Michael Chanan explores his experiences of video blogging for the New Statesman and how it differs from conventional documentary. Being written for presentation at ‘Marx at the Movies’, these notes address the topic from an angle which is rarely treated in film and video scholarship, that of the peculiar labour process and mode of production involved. This entry was posted in mobile and tagged guest post, Michael Chanan, video blogging on April 18, 2012 by Paul Bradshaw. BBC tackle social video. Sort of. This entry was posted in online journalism, television and tagged 12seconds, BBC, conversation, phreadz, qik, seesmic, social video, tv, video, video blogging on November 6, 2008 by Paul Bradshaw. This entry was posted in online journalism and tagged blog08, GabeMac, Hugh MacLeod, journalism, Loren Feldman, Pete Cashmore, video blogging on October 27, 2008 by Paul Bradshaw. This entry was posted in online journalism, twitter and tagged 21st century newsroom, blogging, david cushman, online video, seesmic, twitter, video blogging, video microblogging on July 21, 2008 by Paul Bradshaw. This entry was posted in online journalism, television and tagged audio slideshows, interactivity, ITV, ITV News, multimedia, Reuters, video blogging on March 19, 2008 by Paul Bradshaw. 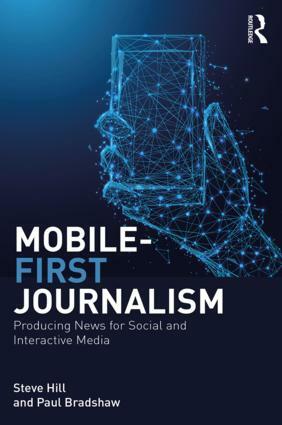 In the second part of this five-part series, I explore how adaptability has not only become a key quality for the journalist – but for the information they deal with on a daily basis too. This will form part of a forthcoming book on online journalism – comments very much invited. This entry was posted in data journalism, online journalism and tagged adaptability, BASIC principles, computer aided reporting, facebook, interactivity, myspace, online audio, online video, podcasts, RSS, series, social networking, video blogging, web 2.0, wikis on February 20, 2008 by Paul Bradshaw. In the first part of a five-part series, I explore how and why a talent for brevity is one of the basic skills an online journalist needs – whether writing an article or employing multimedia. This will form part of a forthcoming book on online journalism – comments very much invited. It shouldn’t have to be said that the web is different, but I’ll say it anyway: the web is different. It is not print, it is not television, it is not radio. So why write content for the web in the same way that you might write for a newspaper or a news broadcast? Organisations used to do this, and some still do. It was called ‘shovelware’, a process by which content created for another medium (generally print) was ‘shovelled’ onto the web with nary a care for whether that was appropriate or not. People read websites very differently to how they read newspapers, watch television or listen to radio. For a start, they read 25% slower than they do with print – this is because computer screens have a much lower resolution than print: 72 dots in every square inch compared to around 150-300 in newspapers and magazines (this may change, but usage patterns are likely to stay the same for some time yet). 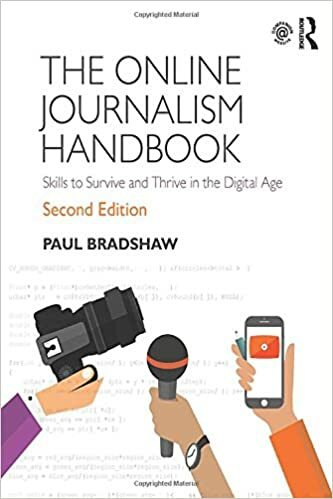 This entry was posted in online journalism and tagged Andy Dickinson, BASIC principles, BBC, brevity, chunking, podcasts, shovelware, video blogging on February 14, 2008 by Paul Bradshaw.